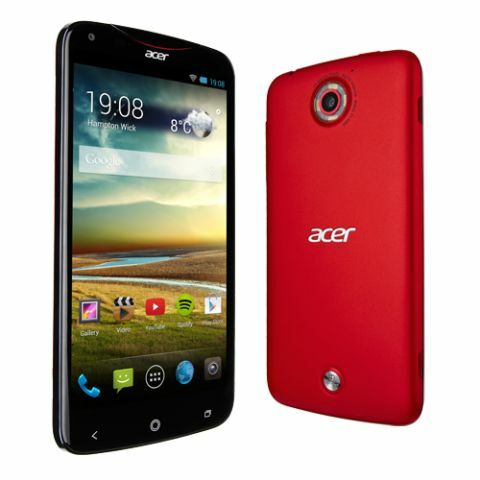 Acer Liquid S2 review | What Hi-Fi? Acer has been ploughing away at the mobile device market for five years now, and this is its first attempt at a premium device at this size. It certainly looks the part thanks to its slim design and some nice touches, such as the curved grille earpiece and non-standard capacitive button icons. There is not as much thought given to ergonomics though – the Liquid S2 requires serious finger gymnastics to operate. The power/unlock button sits flush against the top edge, and between that and the capacitive buttons at the bottom of the screen, you’re constantly shuffling your way up and down the phone. This is not a device for power users either. Despite its sizeable 3300mAh battery, we found it needed recharging by the end of a day of average use. Video looks great on the screen, though, the 367ppi In-Plane Switching (IPS) screen ensuring images are crisp and detailed, with colours well-reproduced and blacks deep. Whites could be a little better, and viewing at an angle can see colours lose just a touch of vibrancy, but otherwise there’s little to grumble about. Zipping around the menus is niggle-free too, thanks to that speedy processor – though there is a fair bit of Acer bloatware we’d rather wasn’t there. However, the ability to go straight to one of four apps from the lock screen is a nice touch and can be customised to the apps you’ll find most useful. Handy. Music is supported by Dolby Digital Plus technology (there are also profiles for movies and gaming), which does a decent job. Music performance is not one of the S2’s strengths, however. While it’s perfectly listenable, well balanced and tonally sound, it lacks punch and get-up-and-go. The stereo speakers are placed well for movie playback, though headphones offer the best experience. The 13MP camera performs well for the most part, but it’s not going to bother the likes of the Nokia Lumia 1520 for quality. It’s more than acceptable for quick snaps, but our test shots had a tendency to look a bit soft, and colours were a little washed out. Low-light photography is a little disappointing too, despite the phone’s quad LED flash that sits around the phone’s main camera. 4K video capability is a nice addition to the mix, but it remains nothing more than a nice feature to play with until you have a 4K TV to play it back through, and the decent 1080p mode is likely to be the one you’ll get the most use out of. Acer’s first crack at a premium phablet comes with good intentions, delivering great specs and results in some areas but left wanting in others. This mixed bag means it struggles to create the impact it will need to succeed against stiff competition.